Are you currently conducting research in the arts? Do you wish to present your research to an audience of your peers? 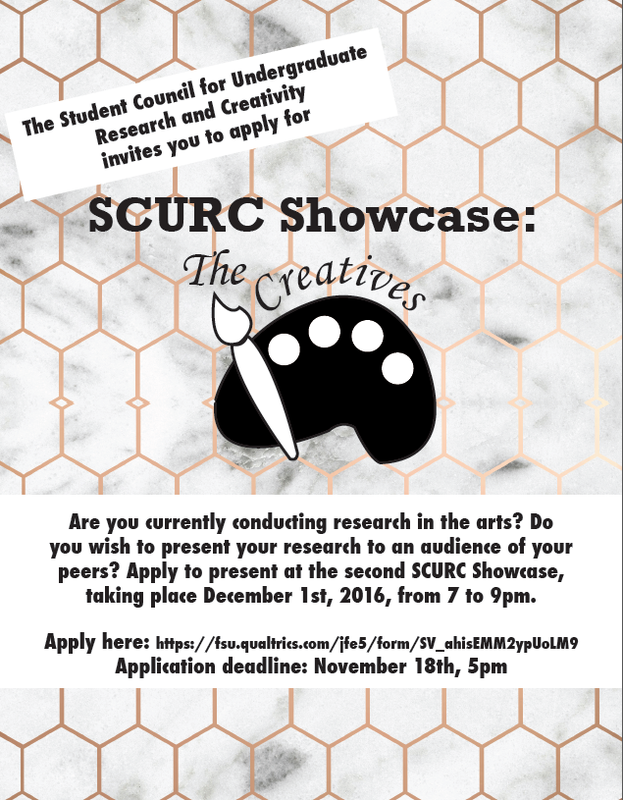 Apply to present at the second SCURC Showcase, taking place December 1st, 2016, from 7 to 9pm.